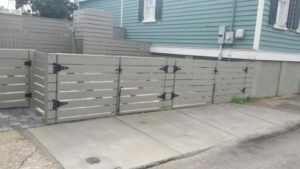 AAA Fence Company of Charleston has provided residential and commercial gate and fence products and related services in the Lowcountry since 1990. 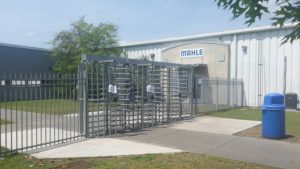 We design and install a complete line of commercial and residential products from temporary fence for construction sites, commercial and industrial chain link fences, gate operators, 6′ privacy fences and 4′ picket fence to arbors and recreational enclosures. We have a superb reputation for quality materials and superior workmanship and we are happy to provide references upon request. 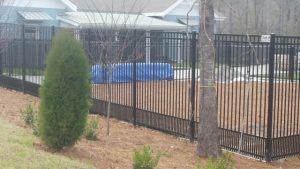 AAA Fence Company of Charleston is proud to be in concert with various pool companies in the area to assure the timely and safe opening of your new pool. Your business is important to us. 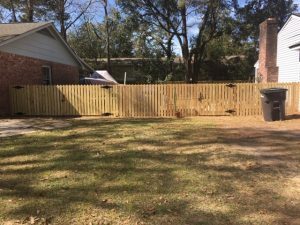 Our staff of trained and licensed gate and fence professionals will provide prompt and courteous service. We are licensed and insured to give you peace of mind during your installation process. Please contact us for fast, free estimates, quality products and innovative solutions. 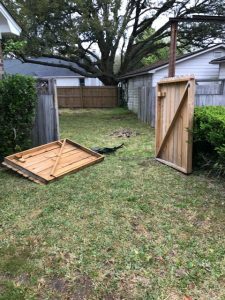 Your backyard gate look like this? 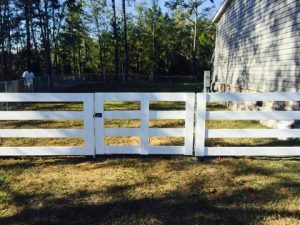 We’ll fix it for you…old gate, new hardware and a new happy customer. 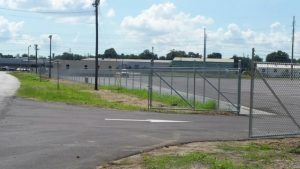 843-797-5362. 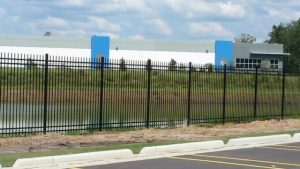 AAA Fence recently installed this 8′ tall aluminum fence at the Fed Ex location – Charleston, SC.